Cornthwaite Holton Limited is a bespoke practice formed in 2016 by John Cornthwaite (formally Cornthwaite Architects Ltd) + Barry Holton (formally Gulf Design Architects Ltd). 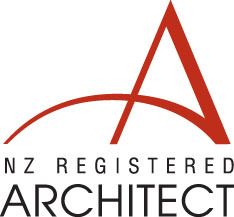 A New Zealand Institute of Architects Registered Practice based in Auckland specializing in Cliff top, Heritage (Villa’s and Bungalow’s) + Re-clad Residential Projects, Commercial Projects + Urban Design. We work closely and collaboratively with our clients to produce creative design solutions resulting in buildings and spaces with enduring quality and soul. We have a philosophy of embracing the creation of functional and sustainable spaces to meet our client’s needs. John Cornthwaite + Barry Holton are both personally committed to each project to obtain the best results for their clients. 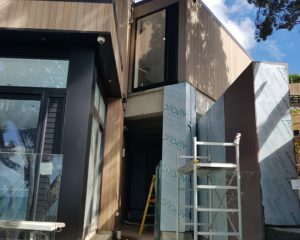 As a small practice we are more focused, more flexible and enjoy our clients being fully involved in the process of designing and building their project. To utilize inherent and acquired skills as an Architect and applying these within a design organisation which values hard work, discipline, ethics and a desire to execute the design + construction of building projects to the highest of standards. To educate + develop the skills of staff and team members. To provide an “added + mature expertise” within a company’s capabilities. 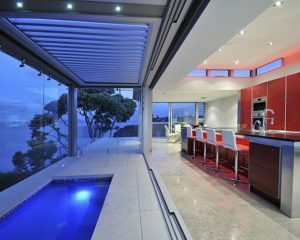 John works closely with his clients applying a design led approach to a variety of project types. He sets high standards to produce quality results from listening to his client’s needs and creating buildings with cohesion and integrity. Barry continually insists on quality design principles that reflect the uniqueness of each site or environment. He aims to deliver the needs of the client paired with innovation, ingenuity and practicality. ■ Ability to establish client's needs, expectations, project requirements and budgets. ■ Ability to develop and analyse ideas through sketches, detailed drawings and specifications. ■ Imaginative, lateral and creative thinking skills, technical specialist and decision maker. ■ Ability to see the big picture as well giving attention to the smallest detail. ■ Ability to communicate effectively, to be a “team player”. 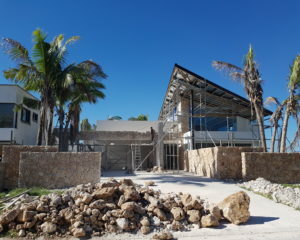 ■ Practical and technical understanding of building materials, structures, construction and services. ■ Qualities of vision, design skill + professional expertise. ■ Ability to co-ordinate + integrate the contribution of building professionals, territorial authorities, product manufacturers, building contractors + sub-contractors. ■ Technical skills in design, documentation, specifications, contract tendering, contract negotiation + procurement, contract management, construction monitoring, understanding of “best practices” + “quality construction”.